Why do I bruise easily? To understand the process of healing, we need to have a basic understanding of the way skin functions. The skin has three major layers: the epidermis, the dermis, and the subcutis. 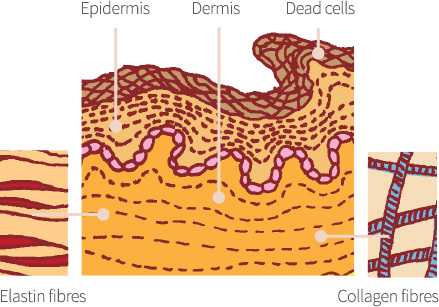 The top layer of the epidermis is actually dead skin. Every few days this layer is shed off and replaced by new cells. The dermis is a supple layer of connective tissue matrix, which makes up 90% of the skin’s thickness. This matrix consists of ground substance composed of mucopolysaccharides (MPS) and other proteins. The MPS play an important role in the tissue regeneration of the skin as they have a stimulating effect on the connective tissue cells. The subcutis is made up of mainly fat and is responsible for insulating the body, but has no role in the repair of tissue. 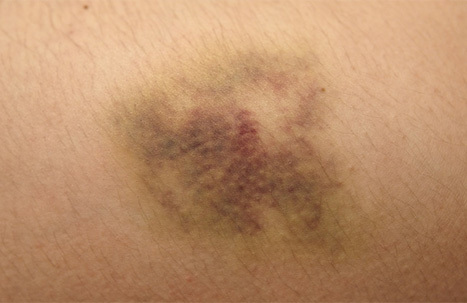 A bruise is caused by blood trapped under the surface of the skin. It is caused by an injury that crushes small blood vessels but does not break the skin. Blood seeps out from these blood vessels into the surrounding tissues. Bruises cause skin discolouration and are often painful and swollen. Bruises will heal in time as the body reabsorbs the blood. Initially the bruise is a pinkish red colour that can be tender to touch. Within hours it will turn a dark blue or purple colour due to the breakdown of haemoglobin that is found in the blood. Finally, as the healing process continues it changes to a yellow colour and fades until it completely disappears. Depending on the severity of the bruise it can take anywhere from a few days to a few months for a bruise to completely fade. Some people have more delicate blood vessels meaning it may only take a minor bump to cause a bruise. Additionally, blood vessels become more fragile as we age and our skin becomes thinner. 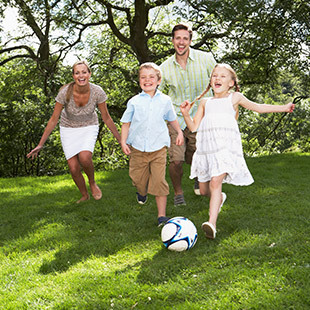 When an injury occurs the skin has less cushioning to protect the more fragile blood vessels. Medications that are designed to thin out the blood and those that cause skin to thin can also exacerbate bruising. It is a fact that women bruise more easily than men. Some vitamin deficiencies are associated with an increased tendency to bleed such as iron, vitamin C and zinc deficiencies. *In one study of 10 healthy volunteers, the time it took for 50% of the bruise to be absorbed was 2.1 days for Hirudoid and 4 days for the inactive cream. Research conducted by B. Larsson, S. Fianu, A. Jonasson & B. Forsskahl. Percutaneous treatment with a mucopolysaccharide polysulphate of experimentally induced subcutaneous haematomas in man. Thromb Haemost.1985;53(3):343-5. Financial sponsor of research unknown. Hirudoid is the health and beauty product that goes beyond the cosmetic and brings real science to healing. Hirudoid contains MPS (mucopolysaccharides) which is similar to the body’s naturally occurring MPS found in the dermis layer of skin. The skin’s healing capability relies on the presence of MPS in the tissue. MPS has many properties including the promotion of tissue regeneration and reduction of swelling and inflammation. It is in these ways that Hirudoid accelerates the healing time of bruises. Hirudoid is available in 20 gram and 40 gram tubes. Each gram contains mucopolysaccharide polysulfuric acid ester 3mg. Available from all leading pharmacies. This results in healing benefits for not only bruises but scars, sprains and various inflammatory conditions of the veins. The MPS in Hirudoid is able to attract water and therefore loosen the connective tissue, preventing a dense accumulation of the fibres, which create a thick scar. Hirudoid softens scars, increases flexibility of the scar tissue, reduces redness and results in a better cosmetic appearance. The pain of sprains and other minor injuries is a common problem and frequently causes absence from work. Hirudoid increases the blood flow by dilating the peripheral blood vessels. This promotes speedier absorption of fluid from the tissues. In one study, 83% of patients who used Hirudoid were fully mobile within one week. Hirudoid can be used for various inflammatory conditions of the veins under medical supervision. When can I start using Hirudoid? It is best to start using Hirudoid as soon as the injury has occurred. How do I use Hirudoid? Apply to the affected area once or twice a day and massage gently into the skin until absorbed. Is there a maximum length of time that I can use Hirudoid for? No, there is no limit on how long you can continue to use Hirudoid. Can Hirudoid be used on children? Yes, Hirudoid can be used on children. Does Hirudoid have any contraindications? There are no known contraindications to the use of Hirudoid. Where can I buy Hirudoid? You can purchase Hirudoid at your local pharmacy or Priceline store. Is Hirudoid indicated for treatment of haemorrhoids? No. There are specially formulated products e.g. Hemocane that can be used for haemorrhoids. If you have any questions or feedback about Hirudoid feel free to contact us.